A window installation expert. A master tiler like you’ve never seen before. Angel makes sure the job goes smoothly and gets done right. He’s the man you want for all your siding, insulation and window needs. 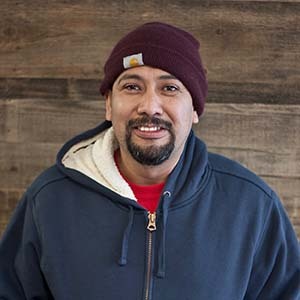 Angel has years of experience and a huge volume of knowledge on the job site. He is also a friendly face and always willing to help out. Well known as a fine and patient teacher, Angel is always ready to share his expertise. We’ve never seen him without a smile on his face!